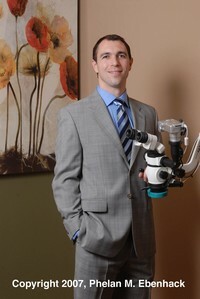 Thank you for choosing Lake Mary Endodontics, the specialty office of Dr. Travis Caissie. We are dedicated to providing exceptional care in a comfortable environment utilizing state-of-the-art technology. Our mission is to do everything possible to provide you with a positive experience in our office and provide you with the highest standard of care obtainable. All of our care is delivered with the aid of a powerful surgical operating microscope which allows the endodontist maximum visual control in a remarkably precise manner. With this technology we are able to completely treat and more accurately diagnose many complex situations. Our sterilization procedures utilize state of the art dental autoclaves, which clean and sterilize our instruments at a level not easily obtainable by traditional methods and are strictly monitored to be in compliance with the highest levels of infection control. We treat all of our waterlines and the water that flows through our handpieces with a product called Sterilox. This is an oxidizing agent that kills bacteria and prevents biofilm from accumulating in the waterlines, which results in water purity that exceeds the stringent requirements set forth by the American Dental Association and The Centers for Disease Control and Prevention. 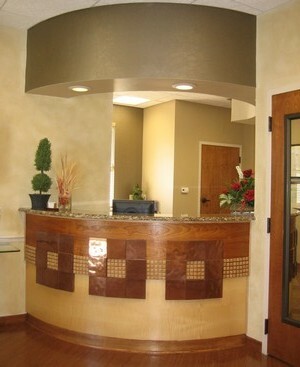 We utilize The Digital Office program as an added convenience for both our patients and referring doctors. Registration through this website saves our patients time by eliminating lengthy paperwork at the time of treatment. Physical and electronic security measures assure the privacy of your personal data. Please contact our office for more details and instructions. Our commitment to you is that you receive the best Endodontic care that is possible today. Just a note to Dr. Cassie and his staff to say thank you. I was referred for a root canal and was given same day appointment as I was in a lot of pain. Dr. Caissie and his assistant were so gentle and kind. The office staff friendly and efficient. Will definitely tell all the nurses or anyone else that is in need of an Endodontist about Dr Caissie and the staff. Thanks to all of you for the great care I received. Dear Dr. Caissie and Staff, I cannot express how much I appreciate the high quality of care and kindness I experienced in your office today. I have had many dental procedures in my life and I have never looked forward to the dreaded root canal. All that changed today. What was most amazing was the painless numbing procedure and the minimal degree of discomfort afterwards. Your office is state of the art in technology. You are a true master of your art and your staff made me feel welcome and at ease. Thank you for the excellent care. I would like to sincerely thank you for making my root canal as easy and comfortable as possible. It had been a stressful ordeal, but you and your staff were able to show me the kindness and gentleness I needed at that time. I would highly recommend you and your office to others. Thank you so much again for the fantastic experience, especially for a root canal. I just wanted to thank you all once again for doing an outstanding job during my root canal surgery last November. Your professionalism and genuine concern during my “first” (and hopefully last??!!) root canal was greatly appreciated. Again, I’ve been through more uncomfortable dental cleanings in comparison to the root canal procedure performed by Dr. Caissie! I was referred to Dr. Caissie on an emergency root canal yesterday. I can not express how amazing he is. So gentle and caring. Being never with the office before I was a little nervous but all my fears were put to rest immediatley. I strongly recommend him and his staff. I have absolutely no tenderness or pain today!